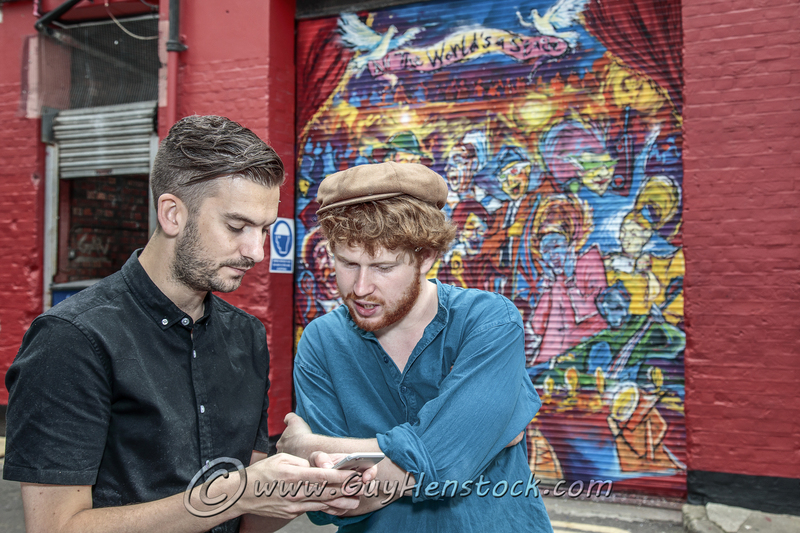 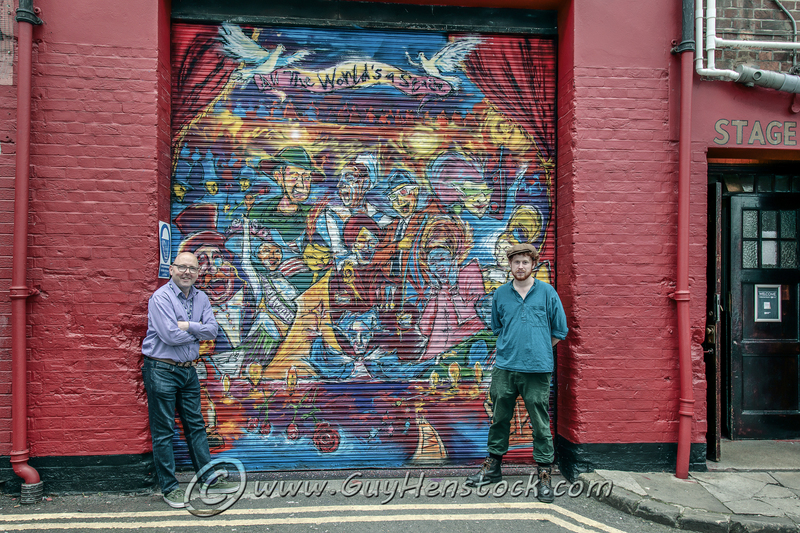 Yesterday I was asked by New Theatre Oxford to photograph their new graffiti artwork on their loading dock door by local Oxford artist Andrew Mason. 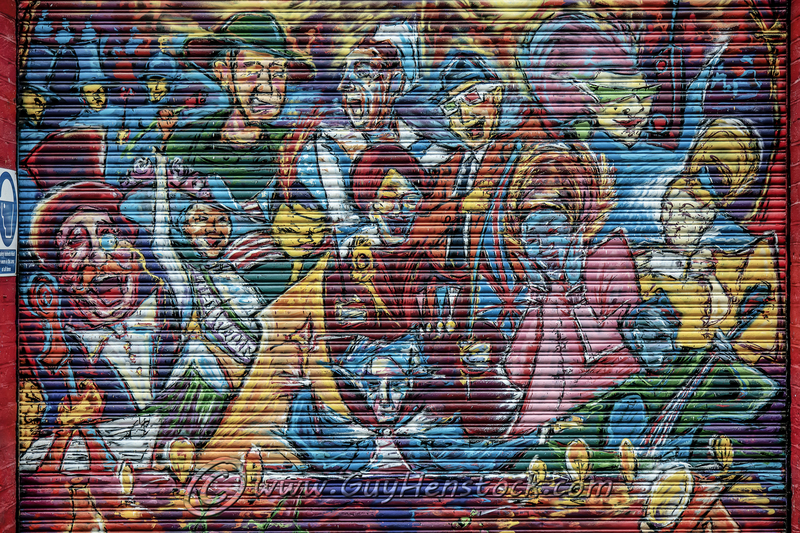 The mural depicts audiences at the theatre over the decades. 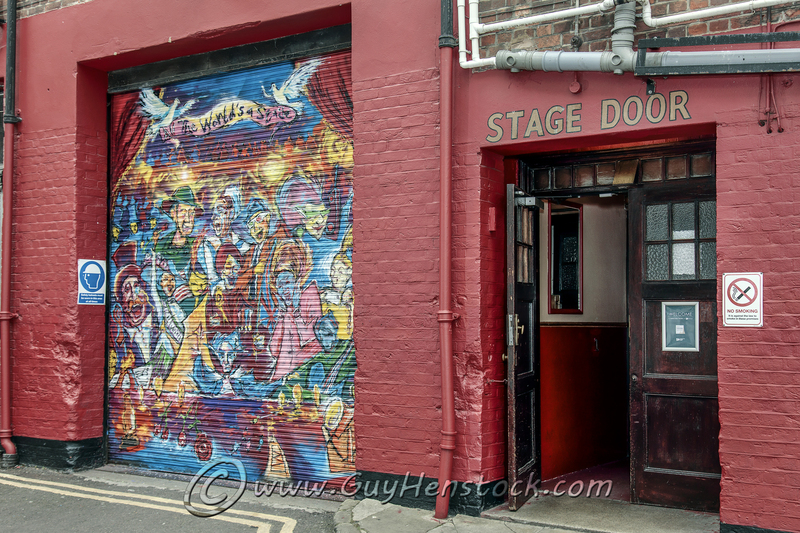 New Theatre Oxford (formerly known as the Apollo Theatre Oxford or simply The Apollo from 1977–2003) is the main commercial theatre in Oxford, England and has a capacity of 1,800 people. 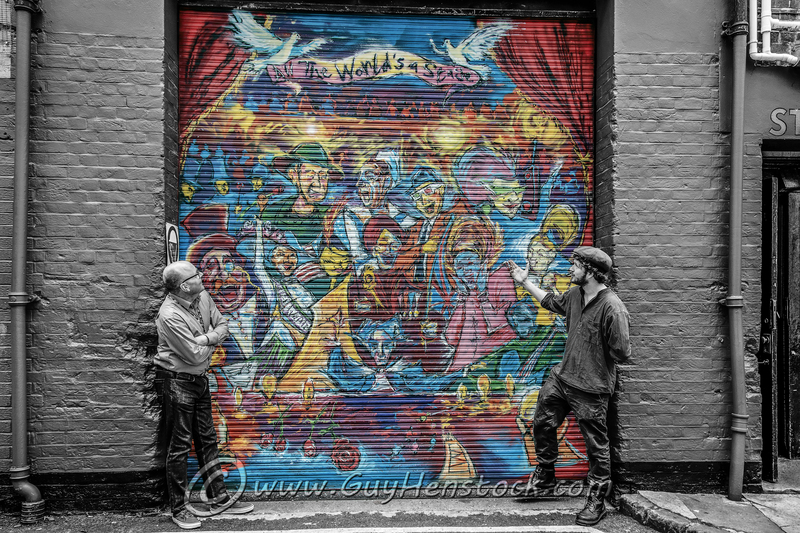 It is located on George Street, in the centre of the city, and puts on a wide variety of shows, from musical theatre, to stand-up comedy and concerts. 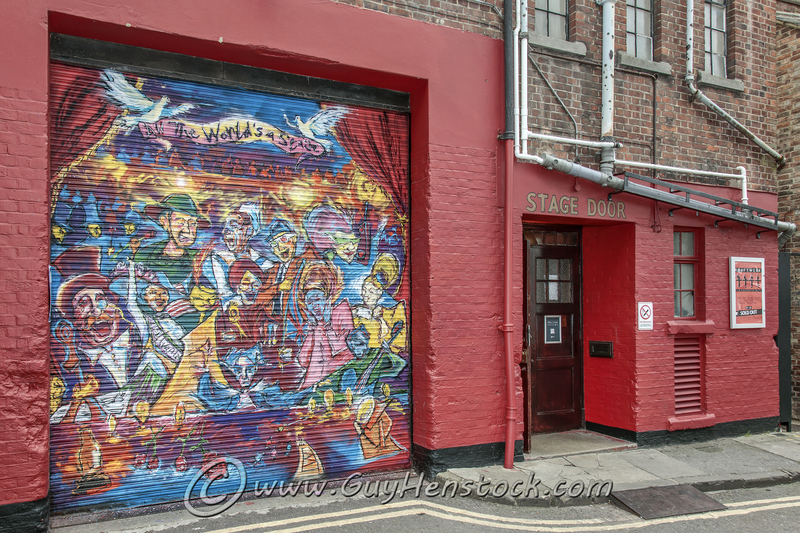 The first “New Theatre” on this site opened in 1836 and presented music hall entertainment. 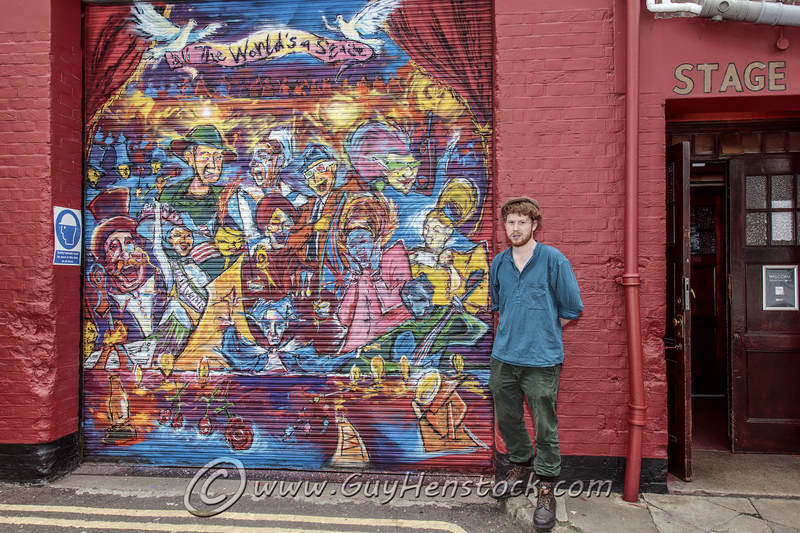 This was replaced in 1886 by new premises, which were the home of Oxford University Dramatic Society. 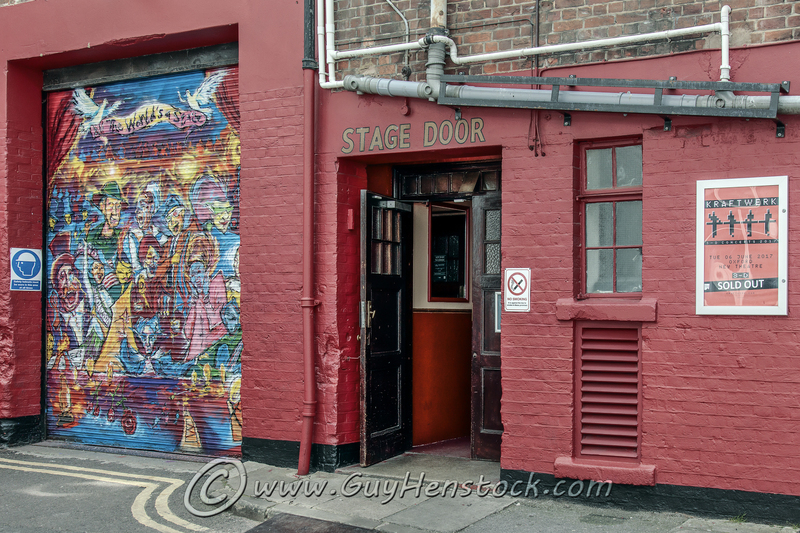 The theatre was damaged by fire in 1892 and enlarged in 1908, from when it was continuously under the management of the Dorrill family until 1972. 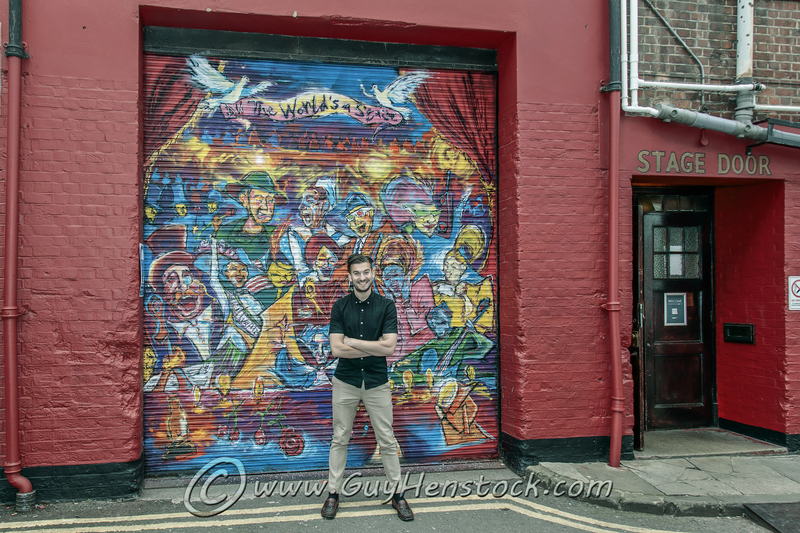 Richard Loftus, New Theatre Oxford Marketing Manager stood by newly commissioned artwork. 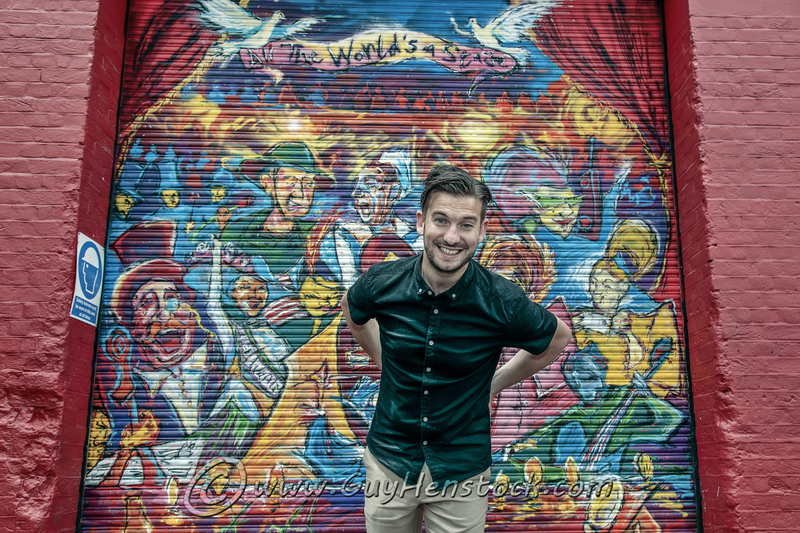 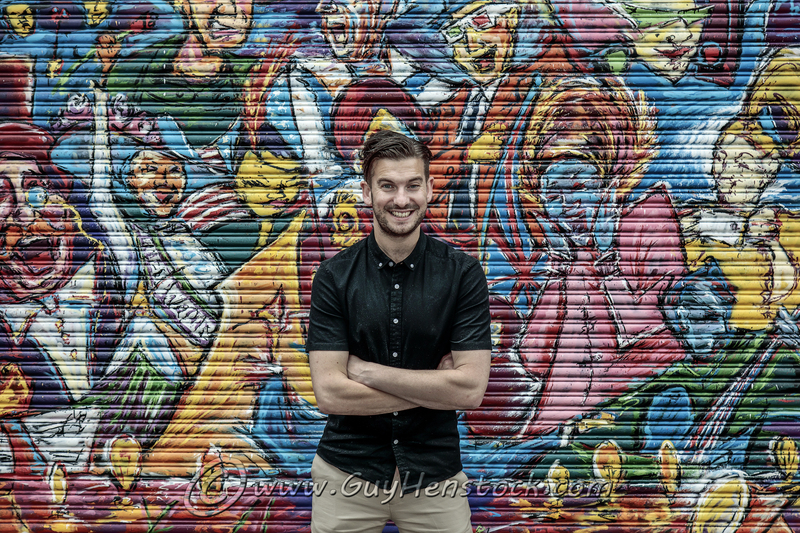 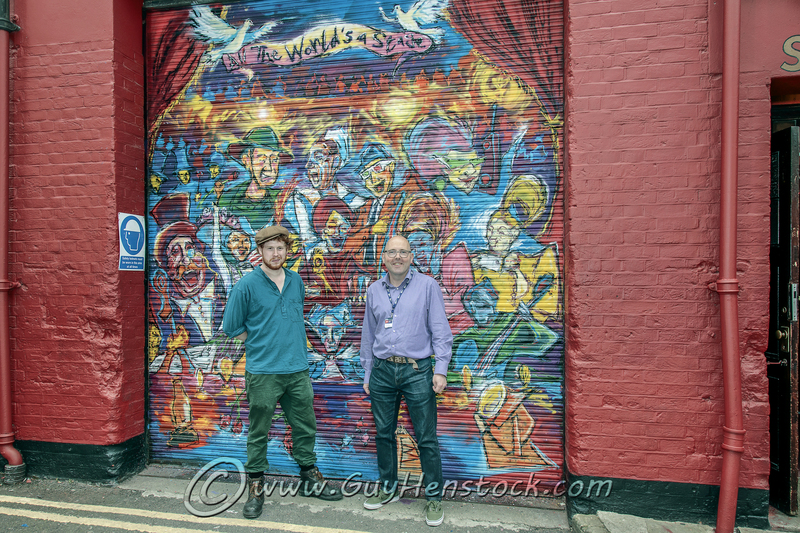 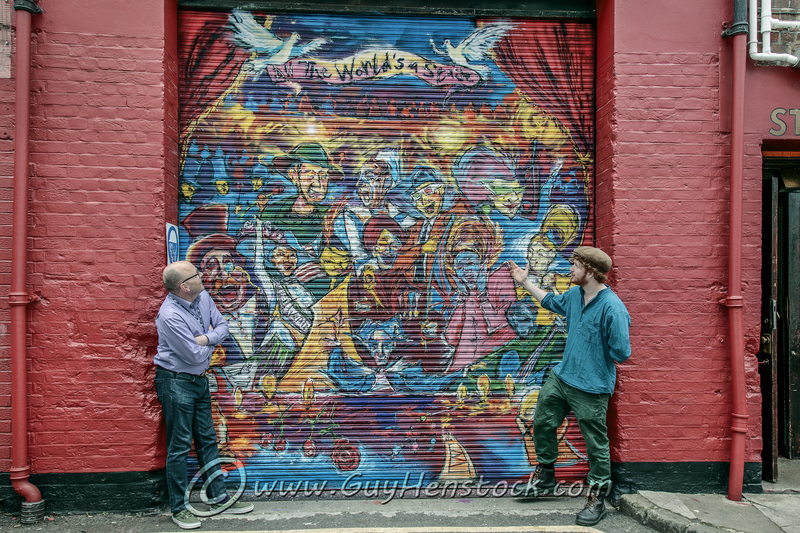 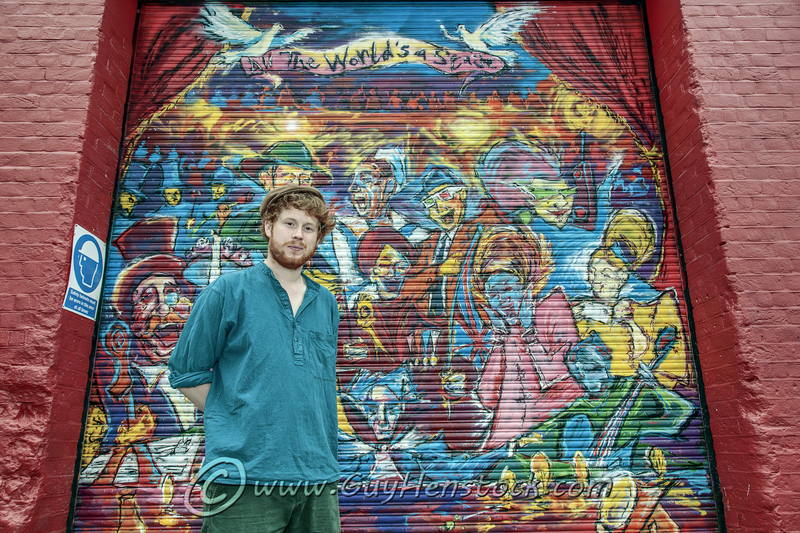 Richard Loftus, New Theatre Oxford Marketing Manager stood by newly commissioned graffiti artwork.